For over 150 years archaeologists have struggled to understand why the expansive religious complex surrounding the ancient city of Tiwanaku, in modern day Bolivia, was located in a desolate, arid and resourceless region about 16 kilometers (10 miles) from the shores of the bountiful Lake Titicaca. This article provides new observations in the orientations and alignments of the sacred buildings not only revealing the builders motivations, but unearthing their ancient prime meridian about which their entire cosmos circled. Figure 1 The Kalasasaya ritual complex at Tiwanaku was built around 200 AD and is a designated UNESCO World Heritage Site. Public License. People began permanently settling around Lake Titicaca around 4,000 years ago and by 1500 BCE a small agricultural settlement had formed about ten miles from the southern (Bolivian) shores of the lake. Tiwanaku, was the highest city in the ancient world at an altitude of 3,850 meters (12,600 feet) and it would grow to cover an area of around 10 square kms (six square miles) and the Tiwanaku Empire dominated the entire Collao Andean Plateau between 200 BCE - 600 CE spanning 600,000 square kilometers (231,000 square miles ). As the Tiwankau farming settlement expanded its streets were built in accordance to a grid system around a central plaza, loosely oriented on a north-south and east-west axis, and this was surrounded by a moat on three sides with Lake Titicaca symbolically representing the fourth. Outside the moat; residential mud brick buildings housed the farmers who worked on the extensive raised-field irrigation systems, aqueducts and canals which channeled water from Lake Titicaca and the mountain rivers to the south into the city. Figure 2: Tiwanaku’s streets form a grid around a central plaza, which was the original farming settlement before urban expansion at the end of the 2nd century BCE. The colossal pyramid, sacred enclosed courtyards and statues at Tiwanaku correspond to different periods of cultural accessions. In his 2008 book Ancient Tiwanaku Vanderbilt University professor John Wayne Janusek wrote that the earliest structures at Tiwanaku were the Semi-Subterranean Temple and the Kalasasaya platform mound and courtyard which were created between 200 BCE - 200 CE.” The Akapana pyramid was raised between 300 - 700 CE and the Pumapunku platform mound was built sometime after 536 CE. REF 1. Figure 3. This reconstruction of the ceremonial civic Area at Tiwanaku was created by Architect and Archaeologist Javier Escalante Moscoso and presented in his excellent 1997 book: Arquitectura Prehispánica en los Andes bolivianos,. Before the people of Tiwanaku created their stone super-structures of worship, the original farming community grew around what is today the central plaza. In ancient times plazas were integral to towns in Mesoamerica and especially in the Andes where they were centers of civic, agricultural and religious community affairs where judicial matters were solved, trade markets bustled and public rituals, ceremonies and processions were performed. Both the Inca culture of modern day Peru and in the Maya and Aztec civilizations in what is today Mexico symbolically linked the plaza with the sea. In Nahuatl, a language spoken by the Aztecs, the word altepetl (town) means “water mountain” and this is possibly why water was coursed to flow both under and over the surface of the Akapana pyramid in Tiwanaku, similar to the flow of water from the surrounding mountains during storms. Sometime around 200 BCE the people of Tiwanaku built their first stone structure; the legendary Semi-Sunken Temple. In their 2001 book Ritual and Pilgrimage in the Ancient Andes: The Islands of the Sun and the Moon, researchers Brian Bauer and Charles Stanish noted that the “Semi-Subterranean Temple is square, about 27 meters (89 feet) long on each side and accessed by a set of stairs." The walls of this once deeply- spiritualized space display “deity-like beings with impassive faces and elaborate headdresses and skulls with sunken eye sockets.” This square courtyard is unique for its north–south, rather than east–west orientation, a very important building dynamic which will find reason towards the end of this article. REF 2. Figure 4. The Semi-Subterranean Temple is the oldest ritual space at Tiwanaku built around 200 BCE. Public License. Between 100 BCE and 100 CE the builders began planning their second project and they selected a plot opposite and to the west of the Semi-Subterranean Temple which was an earlier ruling families residential complex. There they built the magnificent Kalasasaya platform mound and courtyard (Fig 3); a massive sacred space measuring 120 meters (93 feet) by 130 meters (427 feet) and surrounded by high stone walls and an elaborate gateway. Believed to have served primarily as an observatory, the interior sandstone columns are interspersed with stone heads and at its centre stands the enigmatic Ponce Monolith, a three and a half meter (11.5 feet) tall Tiwanaku god, ruler or priest depicted holding a staff in one hand and a kero (qero) or tall beaker in the other. It was in the north west corner of this courtyard that 20th century explorers found the famous Gateway of the Sun which was moved to its current location. REF 3. 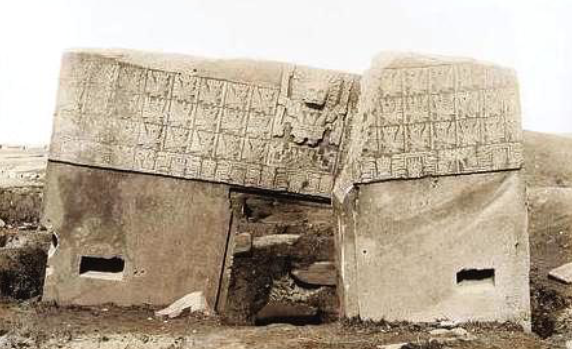 Figure 5: 1903 photograph of Tiwanaku’s Gateway of the Sun. Carved with an image of the creator god Viracocha holding two lightening bolts. Where this monument stands today is not its original position. Public License. As soon as the Kalasasaya had been completed around 200 CE, the builders choose a location for their next structure which would become the principal political and sacred center of Tiwanaku; the Akapana. Also located within the moat, to the south east of the Kalasasaya, this structure is described most often by archeologists as an “artificial pyramid” with base measurements of approximately 200 meters (656 feet) by 250 meters (820 feet) and its seven stone terraces reached 16.5 meters (54 feet) high. The walls surrounding the Akapana enclosure and the Semi-Sunken temple at its top were distinctly shaped to form a stepped symbol which appears on many architectural features and crafts found throughout Tiwanaku. For example, these two 20 ton shaped blocks of stone lie to the north of the Akapana pyramid and display the stepped symbol which is often incorrectly called an Andean cross, Inca cross, stepped cross or Chakana. These are all modern terms bearing no resemblance to this symbols original meaning. Figure 7. These two 20 ton blocks lie to the north of the Akapana pyramid and display a stepped symbol reflecting the shape of the distant mountains. Public License. In Runasimi, the traditional language of the Inca peoples (modern Quechua) this shape was referred to as 'chaka' meaning 'bridge' and therefore the symbol represented a 'crossing’ or the act of ‘crossing over.’ We will briefly look at this symbol as it becomes important later in the article. Figure 8. The three worlds (pachas) of the Andean cosmos were both spacial and temporal and they allowed for concepts of duality to be brought into otherwise linear Andean cozmovision. Composed by an equal-armed cross with superimposed squares this symbol corresponds with the cardinal points of the compass and its steps symbolize the three spheres or worlds (pachas) of the Andean cosmos: hanan pacha (upper world), kay pacha (here and now) and ukhu pacha (lower world). The centre of the symbol, often a hole, represents the axis mundi (also cosmic axis, world axis, world pillar, center of the world, world tree.) In many religions and philosophies the axis mundi was thought of as the place where the celestial and geographic poles symbolically united creating a point of connection between sky and earth, where the four compass directions meet. The axis mundi was a clever psychological device which was used by shamans to help them visualize transit between the three perceived levels of realty - crossing over. In the southern hemisphere, the four points of this symbol were also corresponded to the four stars of the Southern Cross constellation which marks the south celestial pole, about which the entire cosmos appeared to spin. REF 4. Figure 9:.The builders of Pumapunku created massive finely-cut polished blocks, the largest of witch is estimated to weigh about 131 metric tons. Pubic License. The people of Tiwanaku had ritualized key agricultural dates in the solar and lunar calendars and had developed complex agri-rituals. Their buildings tell us that the astronomers, geometers, architects and surveyors not only had a working relationship with pi, the ratio expressing the relationship between the radius and circumference of the circle, but they knew the secrets of manipulating squares and square roots and circling the triangle. And among the religious building classes at Tiwanaku, you will now see there were people skilled sacred geography, the arts of integrating land and sky in stone. The most important days in ancient Andean agricultural calendars were the summer and winter solstices which fall in the southern hemisphere around the 21st December and June respectively. For many centuries the Tiwanaku farmers who occupied the area around what became the central plaza watched the midsummer sun rising at 114.7.° When a 3rd century ruler declared it was time for a new sun pyramid, it was situated precisely upon this special solstice alignment, as is illustrated in Figure 10. Figure 10: On the midwinter solstice the sun was watched rising behind the Akapana pyramid. Having decided to locate the new Akapana pyramid on the 114.7° solstice sunrise alignment, the designers then had to decide where exactly on the alignment to situate it. The following graphic illustrates how surveyors first created a governing circle and upon its circumference they located the precise centers of; the Tiwankau plaza, the Kalasasaya and the Akapana pyramid. Furthermore, the graphic shows that it was this governing circle that two centuries later was used to determine the centre of the Pumapunku complex. Thus, the precise centers of all four of Tiwanaku's major temples are united on the circumference of what once must have been regarded as a high-sacred circle which has a radius of 562.29 meters (1844.75 feet) - almost one square kilometer. Figure 11. The precise centers of the Kalasasaya platform, Tiwankau’s central plaza, the Akapana pyramid and Pumapunku platform all fall on the circumference of a circle measuring almost exactly one square kilometer. In the late 4th century surveyors were tasked with establishing a new location for their next monumental sacred site; the Pumapunku platform. Blending spherical topographic geometry with trigonometry, the planners chose a spot on the circumference of their ancestors circle that was precisely equidistant from the Tiwankau Plaza and the Akapana pyramid. Together, the precise centers of these three platform mounds form an equilateral triangle which is accurate to an order of less than 0.05 degrees. Having established how the locations of Tiwanaku's four major religious centers were determined, were are better suited to answer why they were located in this area in the first place. The Semi-Subterranean Temple was the first enclosed ritual space , therefore it was the first manifested axis mundi marking the fulcrum of the entire Tiwanaku Empire and worshipers from hundreds of miles away pilgrimaged to this sacred spot. The second building was the Kalasasaya stepped platform, which adjoins the Semi-Subterranean Temple . But why did the first Tiwanaku builders locate their structures precisely where we find them, over all the other options available across the Empire? Many archaeologists, especially in South America, have devoted their careers to studying complicated networks of long distance straight alignments in the landscapes. In Peru, the Inca priesthoods formed alignments called ceques; 41 of these radiated outwards from the Temple of the Sun in Cusco linking hundreds of shrines and natural features known collectively as huacas (pronounced Wa'kas). 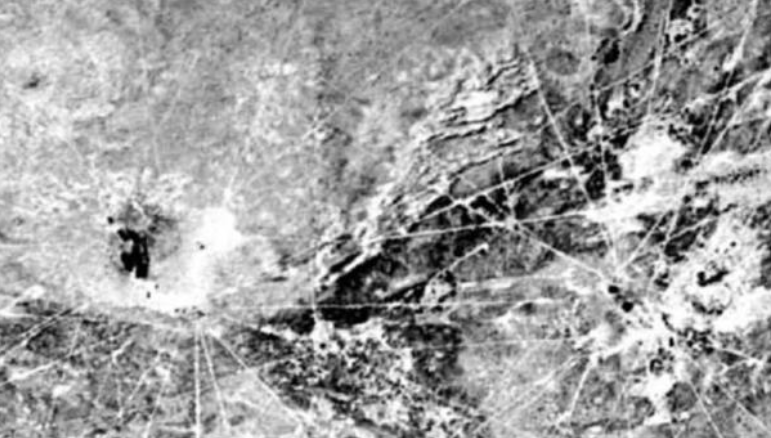 Some of these alignments were purely astronomical and held calendrical significance marking the places on the horizon where stars, planets and the moon were observed rising and setting on significant dates, while others defined spatial boundaries and guided llama herders across mountain ranges. Inca worshipers processed along the ceques to honor the huacas of which any given line was composed, and in doing so, they believed that they were actively revitalizing the Earth’s energies. The Sajama Lines of western Bolivia are a web-like network of tens of thousands of straight paths which were developed and maintained continuously for more than 3,000 years. These alignments linked thousands of huacas (sacred shrines) with chullpas (burial towers), water springs and isolated farming settlements leading many scholars to think that they were used by indigenous people on sacred pilgrimages, just like the ceques in Peru. Blanketing the Bolivian Altiplano, scholars at the University of Pennsylvania recently calculated that these lines cover an area of "22,525 square kilometers (13,996 square miles) approximately fifteen times larger than the area covered by the Nazca Lines in Peru.” As such, the Sajama Lines are considered the largest artwork in the world. REF 6. Figure 13. 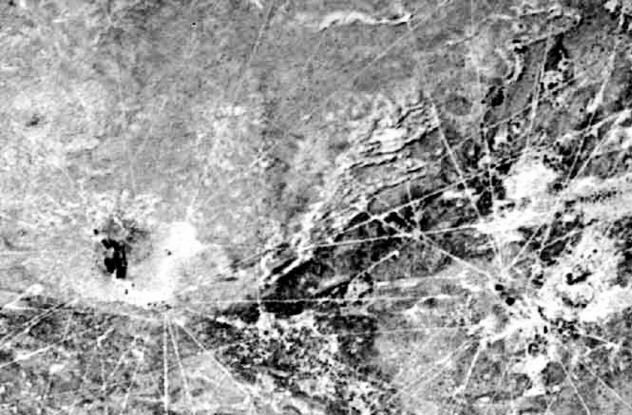 The Sajama lines were first accounted for in 1932 by traveler Aimé Felix Tschiffely and recently mapped by the University of Pennsylvania. Public License. Standing at Tiwanaku looking north, the Taraco mountain range stretches from north to south-east and about 15 kilometers (8.5 miles) directly south is the Chilla-Kimsa Chata mountain range, which translates to 'three mountains' after its three predominant summits. The highest mountain is Kimsa Chata at 4725 meters (15,535 feet) high; situated between Nasa Puqi to the north at almost the same height and Chuqi Ch'iwani to the south at 4695 meters (15403 feet). Figure 14. During the Willkakuti festival, Aymara people make offerings and sacrifices to the Apus of Kimsa Chata. Public License. Kimsa Chata is still a highly sacred ceremonial mountain of the Aymara people of Bolivia and it is honored during the anual Aymara Willkakuti (sacrifice) festival, celebrated on June 21, the winter solstice. In Aymara, Willkakuti means 'return of the sun’ on the Andean-Amazonic New Year, celebrated in Bolivia, Chile and in Southern Peru. Kimsa Chata’s apus is perceived as being imbued with powerful male fertility energies, partly because the Tiwanaku River flows down two of its ranges while the Jacha Jawira River brings fertile waters to the crops on its southern slopes. REF 7. Considering the religious and cosmological importance given to the highest mountains and their association to the sun; a north to south meridian (or axis mundi) drawn from the summit of Kimsa Chata follows longitude 68°40′ 21″.94 west. Exactly 11.5 kilometers (7.15 miles) north, this meridian runs over the centre of the Akapana pyramid at longitude 68° 40′ 21″.91 west. The eastern perimeter wall of the Kalasasaya was also built along this Kimsa Chata meridian, not a few feet to the left or right, but precisely on it. Furthermore, right in front of the Kalasasaya is the Semi-Subterranean Temple with its unique "north to south axis.” This observation might finally answer why it was aligned north to south. Figure 15: The Kimsa Chata meridian was used to locate the Semi-Subterranean Temple, the Kalasasaya and the Akapana pyramid, all of which align with the peak of this mountain. FIG 16: Looking south from Tiwanaku, Kimsa Chata is the highest mountain peak on the southern horizon, symbolic of the sun and rulership. Its meridian was used to determine the alignment of the Kalasasaya's east wall and later the center of the Akapana pyramid. What this means in ritual terms is that every day when the sun crossed its meridian at noon, rulers and their solar priests standing in the Semi-Subterranean Temple, the Kalasasaya or the Akapana pyramid, looking south, observed it directly above the peak of Kimsa Chata. At that moment, when the sun "crossed” the mountain apus, the city and the people symbolically synchronized with the greater universe. This ancient Andean prime meridian is the underlying architectural spine for Tiwanaku’s circle and triangle city plan presented earlier in this article, and probably answers why the city was located where we find it. Once this timeworn geodetic key is turned further layers of worship directed at the three peaks of the Chilla-Kimsa Chata mountain range are revealed. The precise centre of Tiwanaku's Plaza and the alignments of the three main north to south roads are not parallel in arrangement; contrary to what one would predict to find in lines constituting a grid. It is evident that there must have been another determining factor in the street layout rather than geometric precision. 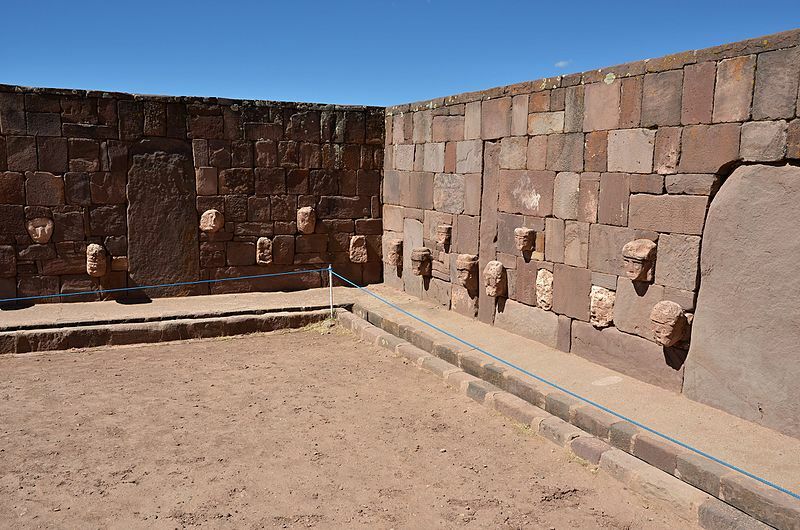 In what can only be described as a thing of great and ancient beauty, when Tiwanaku's three main roads are extended southwards they terminate at the three peaks of the Chilla-Kimsa Chata mountain range. Figure 17. Tiwanaku was built around three main streets aligned loosely north to south. The are not parallel suggesting accurate square geometry was not the builders primary concern when orienting the streets. Figure 18. Extending the alignment of the three straight streets they are found to terminate at each of the three summits of the Kimsa Chata mountain range. It would take a dedicated book to do these observations justice and to explore the different ways these alignments might have been utilized to their fullest extent within rituals at each of the sacred sites. But equally, it has always been a point in my research articles to leave space for readers to form their own conclusions. To some, these alignments will be ancient shamanic trackways one meditated upon and used in astral adventures, while to others they will be no more than mundane builder's alignments, but it is most probably the case that they were both. REF 2: Bauer B and Stanish C, (2001). Ritual and Pilgrimage in the Ancient Andes: The Islands of the Sun and the Moon, University of Texas Press. REF 4: Posnansky, A (1945), Tihuanacu, the Cradle of American Man, I–II, James F. Sheaver trans, New York: JJ Augustin; Vols. III–IV, La Paz, Bolivia: Minister of Education. REF 5: Bauer, B, (1998). The Sacred Landscape of the Inca: The Cusco Ceque System. University of Texas Press. REF 6: The Sajama Lines. Archived January 14, 2007. University of Pennsylvania Press. Scottish historian, author and filmmaker exploring and investigating myths and legends, ancient cultures and kingdoms, science and psychology, artifacts, iconography and architecture.